Alizé, owner of Fairhorsemanship, has written a couple of equine courses for one of the leading online training providers, the Centre of Excellence Online. All diplomas are certified by the IANLPC (International Association of NLP & Coaching) and the IAHT (International Alliance of Holistic Therapists) and align with our horse training and management principles. 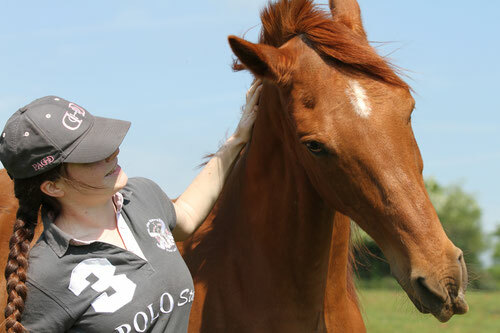 The Equine Psychology diploma is also accredited by the CMA (Complementary Medical Association). Remember all questions about assessments, payments etc. must be sent to the course provider: the Centre of Excellence Online. About this course: The Horse Care and Management Diploma Course covers the basics of what you would expect from a course of this type: horse anatomy, mucking out and grooming your horse. However, rather than solely have a traditional approach, this course instead focuses on horse care from an ethical and scientific perspective. This means the course covers areas such as learning theory, equine welfare and group housing, among others. Because it has been written by a professional horse trainer that focuses on using humane, scientific methods of training it also including several step by step training plans to teach your horse important handling and healthcare procedures such as accepting a blanket, giving hooves or loading in a trailer. 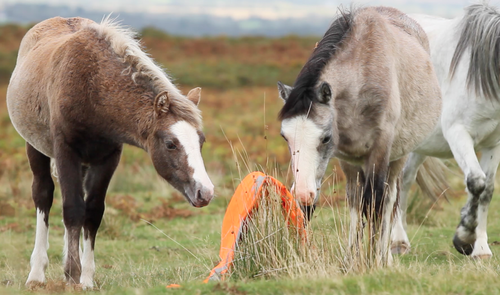 About the course: In this course suitable for horse owners and equine professionals alike you will learn about horse behaviour and how horses learn. If you allow it, this course will dramatically change how you perceive, interact, manage and train horses. This course was created using the writer’s professional experience of horse training and the most up to date scientific researches. The sciences used to create this course includes ethology (the study of natural behaviour), psychology (the study of the mind and it’s functions), neuroscience (the study of structure and function of nervous system and brain) and biology (the study of physiology and anatomy). 2. Why the horse looks like he does? 3. Why horses live in groups? 4. Who is in the group?